This all-day strenuous hike is a collaboration between Cascadia Wildlands and Our Forests that will take you into one of the most primeval places left in Oregon. 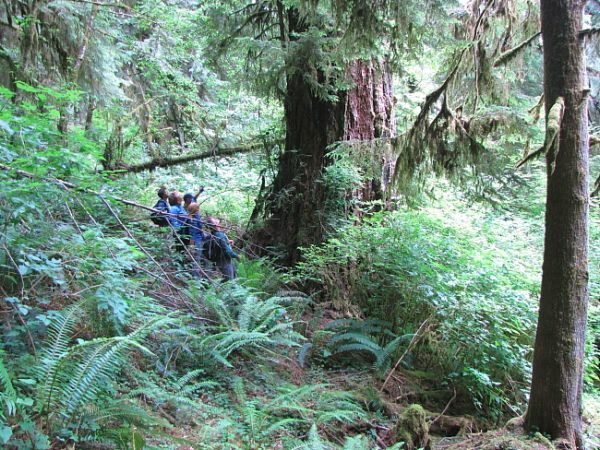 This hike doesn’t go to the Devil’s Staircase waterfall, but instead we will see a portion of one of the most extensive remaining old-growth forests remaining in the Coast Range. Part of our route involves a rugged elk trail, and the remainder of the hike is totally off trail. Participants should be able to navigate steep unstable terrain, brush and log obstacles. Come prepared with “rubber-palmed” gloves, warm clothes, good rain gear and stout boots (no sandals!). This event has already passed. But if you are interested in being notified when our next trip is planned in the Spring of 2019, please sign-up below! Sign-Up to Be Notified of Our Next Devil's Staircase Hike! Interested in joining us for an all-day strenuous hike that will take you into one of the most primeval places left in Oregon?!? Participants should be able to navigate steep unstable terrain, brush and log obstacles. Come prepared with “rubber-palmed” gloves, warm clothes, good rain gear and stout boots (no sandals!). The weather is currently not ideal to travel into this area, but a hike planned for Spring of 2019 is in the works! Sign-up below and you will be notified when we get that trip together. 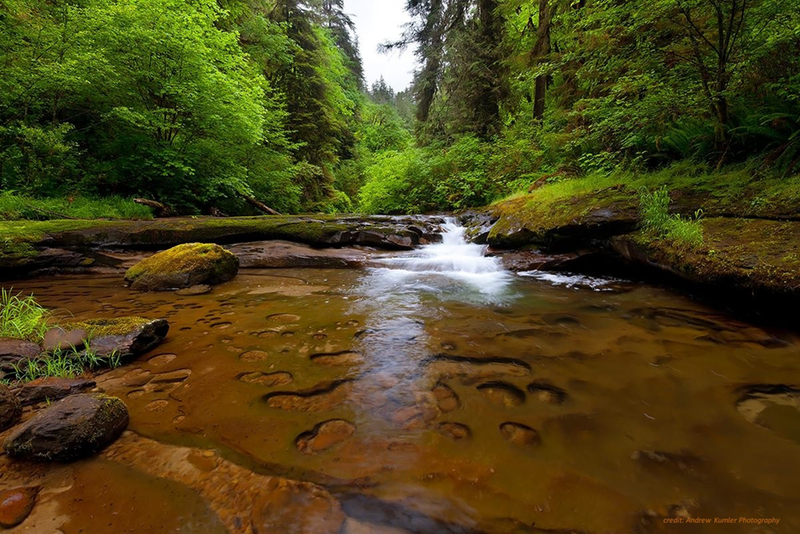 Deep within the proposed Devil's Staircase Wilderness in the Oregon Coast Range lies Wasson Creek-which winds through sandstone bedrock for approximately 20 miles from its source at Wasson Lake to the confluence with the Smith River (photo by Andrew Kumler Photography).